World-rated bantamweight contender Jason ‘The Smooth One’ Moloney 17-1 (14) will look to rebound from his razor-thin points decision loss to IBF world champion Emmanuel Rodriguez 19-0 (12) in the World Boxing Super Series last October when he returns to the at the Seagulls Stadium in Tweeds Heads, NSW Australia on March 30. The 28-year-old Aussie surprised many with his gritty showing against the Puerto Rican world champion, coming on strong in the second half of the fight only to lose a split decision by scores of 115-113 and 113-115 twice. “I absolutely loved being involved in the WBSS. Obviously we didn’t the result we wanted which was devastating but to represent Australia in the biggest tournament in world boxing and to fight for a world title was very special and something I will never forget,” said Moloney. “To lose a split decision by just one round was heartbreaking but I believed I showed that I belong at the top of the division. I learnt a lot from this fight, I’m even hungrier and I just can’t wait for another chance at a world title”. Next up for Moloney will be Filipino southpaw Cris ‘The King’ Paulino 19-3 (8) who was scheduled to face Moloney’s twin brother Andrew at super flyweight in December before the undefeated Australian was forced to withdraw due to injury. 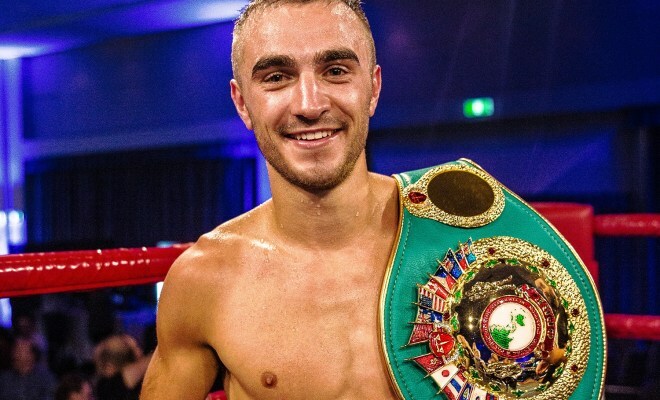 Moloney is keen to get back in the winner’s column ahead of another world title shot later in 2019. Manager Tony Tolj said the March 30 card will feature a strong line-up of local talent including other world-rated fighters. “We have a great card full of WBA title fights that include WBA world number 10 Billel ‘Baby Face’ Dib defending his WBA Oceania title and ‘The Captain’ Kerry Foley contesting WBA and WBC regional titles in our blockbuster card, as well as a stacked undercard as part of our Boxing Mania 5 event,” Tolj said.